U. Zanitar, Kyaw Zayar Htun, U. Kaylar Sa et al. 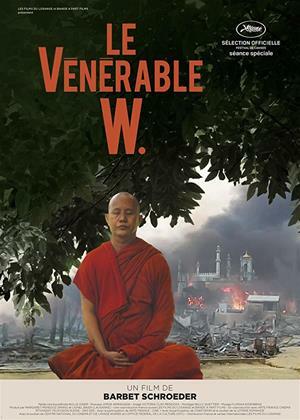 "The Venerable W." by Barbet Schroeder is the last instalment in the director’s "Trilogy of Evil", which began with General Idi Amin Dada: A Self Portrait (1974), and continued with Terror’s Advocate (Certain Regard Cannes 2007 and winner of the César for Best Documentary in 2008). This time the director goes to Burma, into the heart of everyday racism, to explore how Islamophobia and hate speech transforms itself into violence and destruction in a country that is 90 percent Buddhist - the world's most peaceful of religions, founded on a tolerant, non-violent way of life.